Approved good acceleration enhances efficient pallet entry and exit to increase productivity. Nopolar Electronic-control is programmable for specific tasks or operator skill levels. The Lpt15 benefits from Noblelift's design and engineering excellence. Approved good acceleration enhances efficient pallet entry and exit to increase productivity. Non-polar electronic control provides variable speed acceleration which enhances pallet entry and exiting to improve productivity. Integrated hydraulic power unit is coming from BUCHER. It integrated DC motor, gear pump, valve and relevant pipe, thus it can work with high reliability, stabiliy, low power consumption, energy saving, low noise and environment protection. 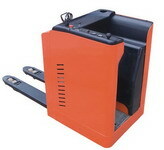 Load Rated Capacity 2000 kgs. This 2200 kgs poweer truck has been designed with new technology be compact. Our Zowell XPm13 1.3 ton mini pallet truck is a pedestrian one that can provide safe and easy horizontal movement for low-intensity work, and it can be used in offices, retail stores, print shops, and so on. Featuring 330kg weight, 1300kg load capacity and compact size, it is an ideal choice for many places. 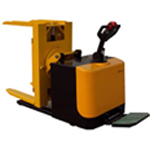 Our Zowell XP20 2 ton pallet truck is a compact machine with 2000kg loading capacity, and it is able to provide safe and easy horizontal pallet movement. It is an ideal choice for high-intensity work fields where loading/unloading and multi-shift operations are often needed. 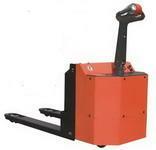 * Can be used as a power pallet truck,pallet tilter/reverser and trun table. * When it tilts up,it serves as a work table to blow and dry paper in vertical.